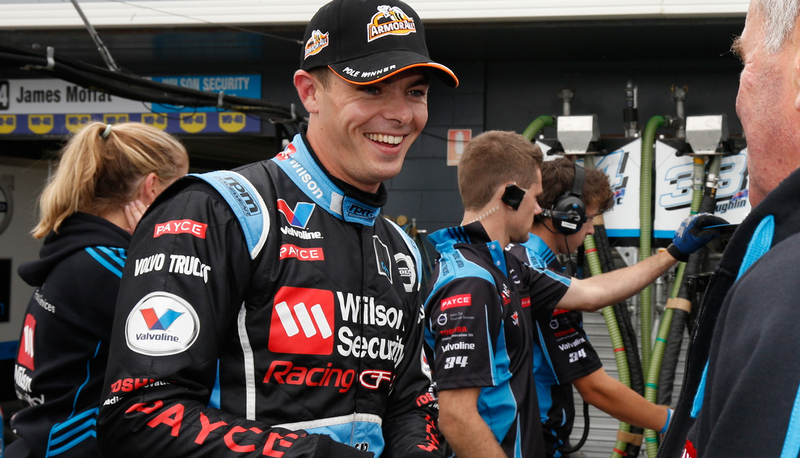 Scott McLaughlin’s return to form couldn’t come at a better time, as speculation ramps up about his V8 Supercars future. The 22-year old Volvo driver shot to stardom after an impressive 2014 season, but suffered a slump in 2015 as the S60 struggled with engine issues. McLaughlin’s victory at Phillip Island yesterday was his first since racing at the same circuit in 2014. The quick Kiwi has clearly shown championship-winning potential, and has been billed the key to this year’s silly season. A return to the winners circle surely raises his stocks as he looks to negotiate a home for next year. “Obviously it doesn’t hurt,” McLaughlin told v8supercars.com. “You want to win as much as you can; convincingly as well. 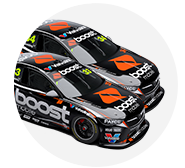 A number of news reports linked the GRM gun to DJR Team Penske and the Holden Racing Team last week – the former showing potential yesterday and the second self-admittedly struggling with setup. McLaughlin said most of the talk was just that – speculation. “I’ve been open with Garry [Rogers, team boss] about talking with him with contracts and stuff. “I, myself, I haven’t spoken to any other teams, I’ve just been focusing on the job. “We only really started talking about it a week or two ago, so it’s pretty early now. “I’m feeling pretty comfortable here at the moment – we just had a win – at the end of the day I’ve just got to focus. The Volvo win meant the sixth race of the season was the first won by a manufacturer other than Holden. McLaughlin knew how much it would mean to his team to cross the line in first, and said he wanted to reward the hard-working crew. “It was going through my head the whole race, we just wanted to win it. The guys more than anything – I’m not really worried about myself. The struggle people have gone through – 2015 was a complete write off for us and for us to start well this year … it’s just a massive relief. 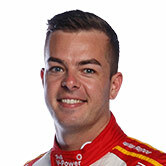 In the post-race press conference, McLaughlin revealed team boss Garry Rogers had been integral to keeping him positive during the struggles of last season. Rogers is renowned for discovering and developing young talent. “I never stopped believing in it … you can’t just give up, you’ve got to push on and get through the stuff,” he told the media. After yesterday’s result he sits fourth in the Championship standings. Last year, McLaughlin finished on the podium in all three races at Phillip Island, but did not record a win.